Cue our best Chandler Bing voice: could Friends be any more iconic? In the latest example of the show’s continued cultural relevance, writer and comedian Emily Heller started a fan war over one of the beloved series’ main characters — more than a decade after its last episode. So if fans are all in agreement there, what’s the hitch? Enter Heller, who tweeted a simple yet provocative theory on Sunday. Some fans agreed wholeheartedly, treating Heller’s theory as the gospel truth. He’s the Brandon Walsh of Friends. Ten years of the other characters insisting he’s the best guy, and we just almost *never* see proof of it. Other fans leaped to Ross’ defense. – The "I hate Rachel club"
Many pointed out the logistical issues with Heller’s statement — as in why would Ross’ friends pledge their loyalty to his ex? Eh, I don't think Carol was their friend. She was the wife & then ex wife of Ross. Joey was Chandler's roommate, & Chandler was Ross' friend. Rachel was Monica's friend & phoebe was Monica's former roommate. They were friends with Carol because she was married to Ross. As for Heller, once she realized the nostalgic divide of apocalyptic proportion she’d created, she attempted to clarify her original comment. “Truly meant this not as a Ross burn but a Carol compliment,” she explained, albeit after the internet lay in ruins. If we were to unpack the theory, we’d probably have to admit Heller’s theory does have some merit. Yes, we understand that some of the characters — namely Chandler and Joey — met Monica through Ross. However, if we’re really rolling with this alternate universe theory, that could still stand. Monica and Ross would be friends who introduce each other to each other’s friends, right? In that world, Carol may have enjoyed a more meaningful arc on the show and endeared herself to more fans. However, this would only work if Carol became Monica’s best friend in that universe. Then, we could see Heller’s theory playing out. 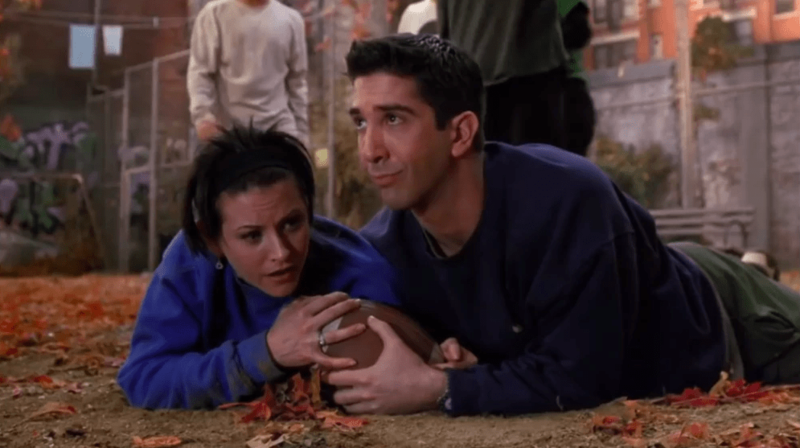 Why would Ross’ friends side with Monica (and by proxy Carol)? Aside from the fact Monica was arguably the best character, let us count the ways. Joey would probably stick around just for the grub. Could he actually survive without Monica feeding him? Debatable. Chandler would have fallen in love with Monica either way. The ladies aren’t as cut-and-dried, though. Phoebe never really cuts anyone out of her life (exhibit A: her horrible twin sister, Ursula). And Rachel, well, we’d have to edit out several seasons worth of episodes if her relationship with Ross never transpired. So even though Heller makes an intriguing point, it doesn’t stand for one simple reason: Friends wouldn’t be Friends without the inimitable Ross Geller, for better or worse.